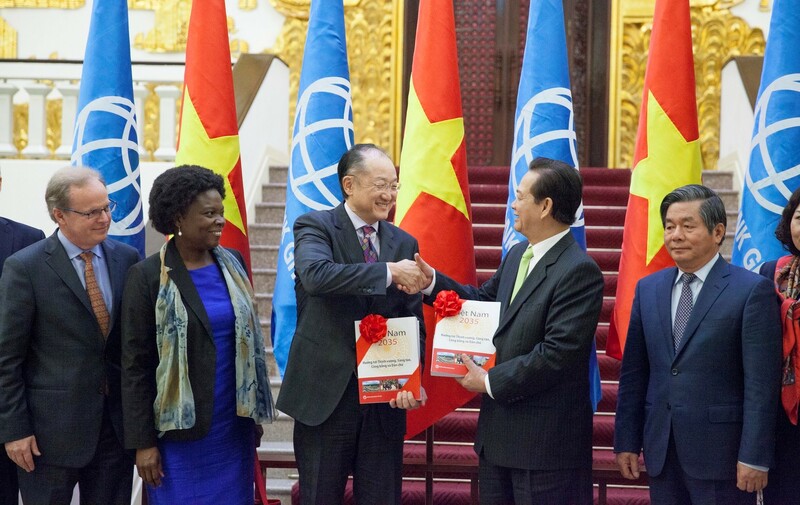 Further details on the report were also published in the World Bank’s publication: Taking Stock: An update of Vietnam’s recent economic developments. Vietnam has benefited from a period of strong economic growth. Real GDP growth frequently exceeded seven percent prior to the start of the 2008-2009 financial crisis. Since 2010, Vietnam’s real GDP has grown between five and six percent per year. It has widely been reported that Vietnam’s past success was fueled by rapid growth in the labor force and investment (Vietnam Development Report (VDR, 2012). Current forecasts are for lower investment and work force growth, and include a limited role for these sources as the main drivers of economic growth. It is expected that Vietnam’s future growth will depend in part on government policies driving productivity growth. This report adds to the discussion by providing a range of estimates of Vietnam’s economy out to 2035 to help identify key drivers of growth. These growth projections take into account global growth, along with projections of investment and the workforce in Vietnam. Decomposition of these projections allows us to analyze the role of key assumptions, including for investment and global growth, on the development of the Vietnamese economy. limited reform of Vietnam’s State Owned Enterprises (SOEs).